Mrs Echidna's Dilemma has wide appeal. The book with its simple narrative, additional information on the animals encountered, patterns for finger puppets and DVD, was originally written as a resource for early learning centres. 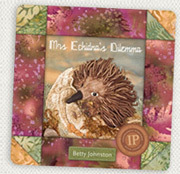 Enjoy creating your own embroideries just like the pages of Mrs Echidna's Dilemma<. Early learning resources designed by Betty Johnston. Note: Prices are given for 1-3 items only. 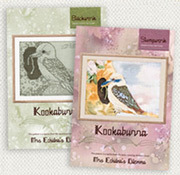 For imformation on bulk order rates, please contact me.